Annapolis, London Town & South County Heritage Area, Inc. (ALTSCHA, Inc.), known as the Four Rivers Heritage Area, a 501(c)3 nonprofit organization, is one of Maryland’s 13 certified heritage areas. We create and support products and activities that leverage economic development through preservation and heritage tourism. Four Rivers, one of Maryland’s state heritage areas, is an established heritage tourism destination on the Chesapeake Bay’s western shore. 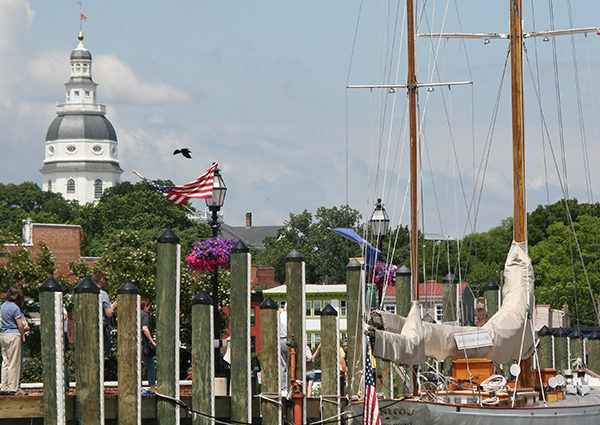 With Annapolis, Maryland’s historic capital city, as its “crown jewel”, the Four Rivers Heritage Area stretches from Sandy Point State Park at the Chesapeake Bay Bridge, through southern Anne Arundel County, to Rose Haven at the Calvert County line. Framed by the Chesapeake Bay on the east and by Route 2/Solomon’s Island Road on the west, Four Rivers reflects Maryland’s rich historic, cultural, and natural legacy. A 501 c 3 nonprofit organization, Four Rivers is also a partnership among the Maryland Heritage Areas Authority, Anne Arundel County, the City of Annapolis, the Town of Highland Beach, and heritage-related organizations and businesses. Our mission is to protect and strengthen the natural, historic, and cultural resources of the heritage area, to nurture their discovery through educational and recreational experiences for visitors and residents, and to promote the region’s rich legacy. As an economic development tool, Four Rivers develops and supports activities and projects that enhance heritage tourism, a growing segment of the lucrative tourism industry. We are proud to be part of the Maryland Heritage Areas Coalition. Maryland’s Heritage Areas are locally-designated and State-certified regions where public and private partners make commitments to preserving historical, cultural and natural resources for sustainable economic development through heritage tourism. At the local level, Heritage Areas focus community attention on often under-appreciated aspects of history, living culture, and distinctive natural areas, thus fostering a stronger sense of pride in the places where Marylanders live and work.